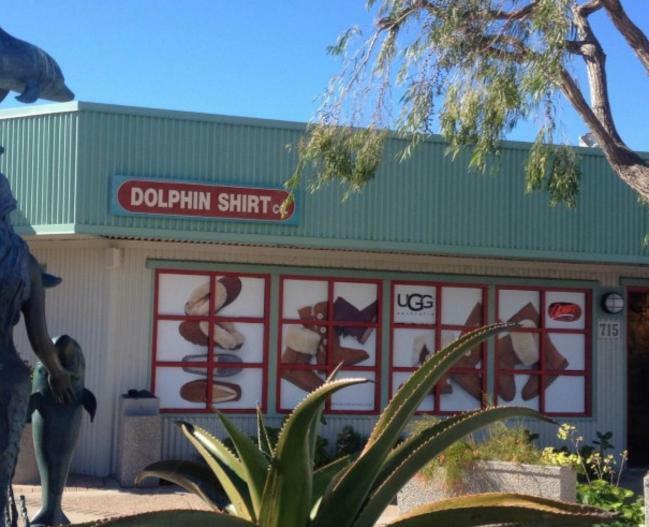 In 1992, Dolphin Shirt Company began printing custom designed t-shirts and sweatshirts. 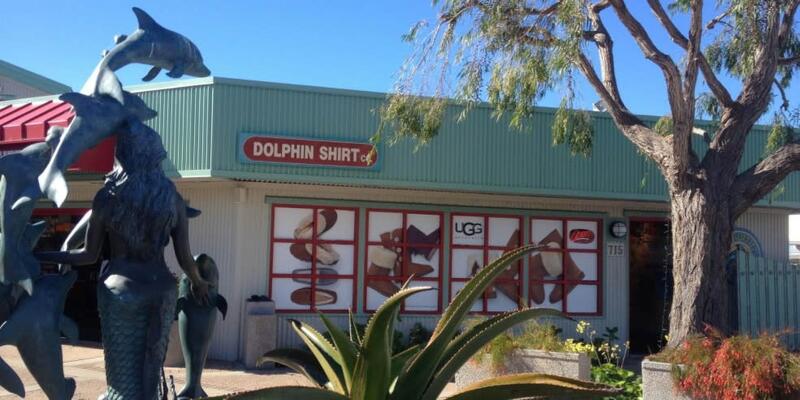 Now, the Morro Bay Dolphin Shirt Company offers hundreds of unique quality designs screen-printed on t-shirts and outerwear for the entire family. 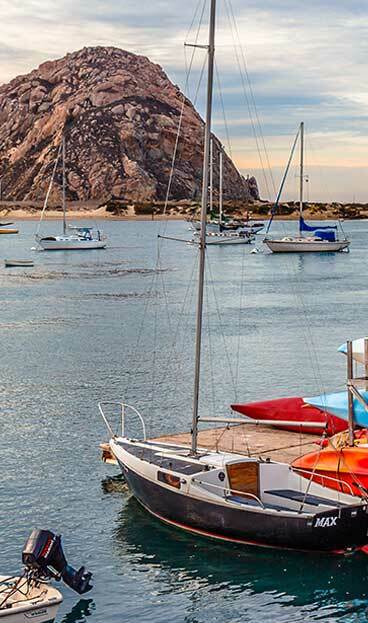 Their unique designs — namely their best selling California Republic Bear Flag T-shirt — are hand-printed in nearby San Luis Obispo. The store also features Sanuk Footwear, Tilley Hats, Kuhl Sportswear, Olukai Sandals, Chala bags, Pistil, Kala Ukelele and Dakine.